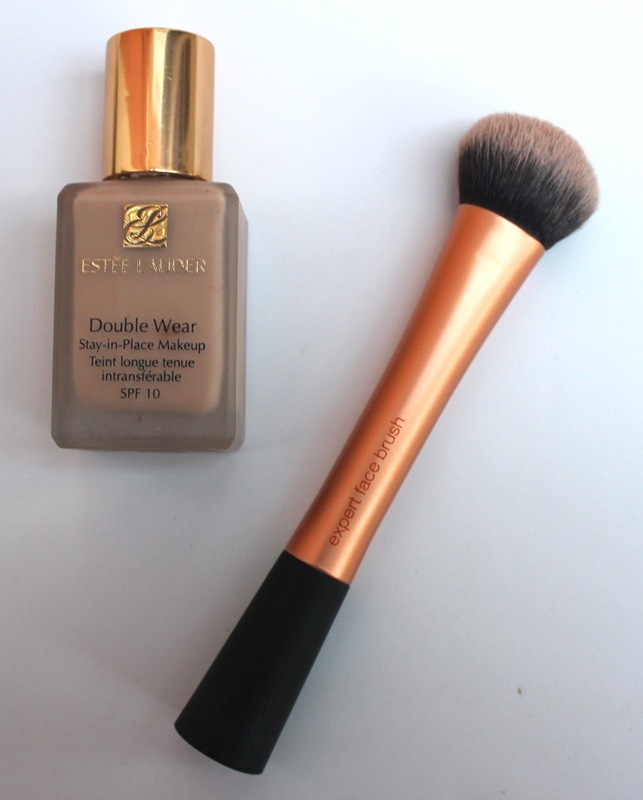 Double Wear is a very popular foundation which I hear people talk about all the time and also something I get asked a lot of questions on. So with that in mind I thought I would get my opinion put together in a post, I hope you find it helpful! I find that personally I prefer to apply this by buffing it into the skin, something like the Real Techniques Expert Face brush does the trick and helps to really work it in. The coverage is definitely on the full side, but I guess that isn't much of a surprise given the name, so it will cover a multitude of sins which is much appreciated on a dreaded bad skin day. It gives beautiful matte finish which is great if you have oily or combination skin, mine is very much on the combination side and it does keep oil at bay on the whole- it needs a powder every now and again but thats no biggy. I get a few pesky dry patches on my face, the chin and those annoying bits around the nose, and this does settle in those places a little so I think if you have lots of dry skin this may not work too well for you. Day to day this foundation works well and contains SPF which is so important for protecting your skin however I'd steer clear if there are going to be pictures taken with flashes as SPF photographs badly, no one wants a bright white face in a photo. Its a shame, I wish they would come out with an SPF free version- fingers crossed! 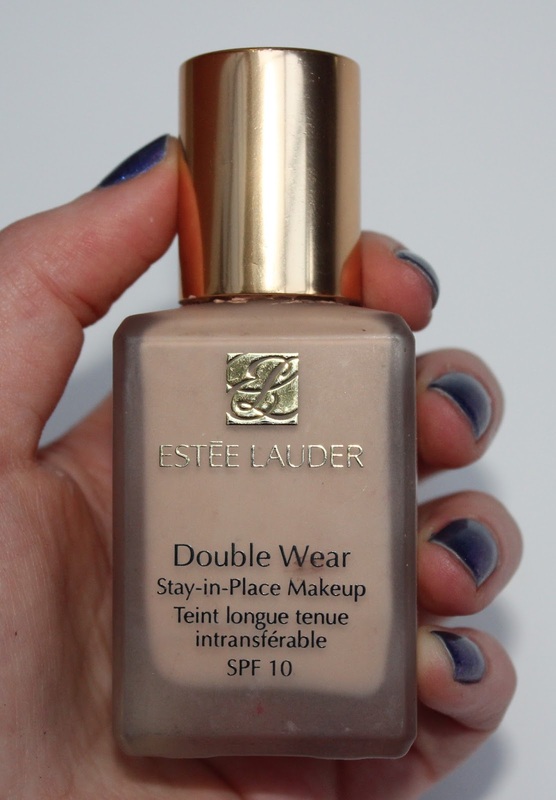 The packaging is very simple, a heavy duty glass bottle and gold lid, but I like it, its very classic looking and very 'Estee Lauder'. My only peeve with this is that it has one of those awful pour out tops, give us a pump please! Foundations like this bug me and they end up being so wasteful as you always pour out too much- well I do anyway. Overall, I do really like Double Wear and would recommend it. I don't use it religiously purely because it is very full coverage and I havent been into that look so much lately. But I think if you're looking to invest in a more expensive foundation then this is a good option to consider. I tried this a while ago after all the hype, i have oily skin and sometimes it turns to combination and it just didn't work for me, i found it didn't keep my shine away. That's a shame, like I said I do have to powder it a little throughout the day but I find that with most foundations so I don't mind too much. Which foundations work on your skin? I'd like to try them out!